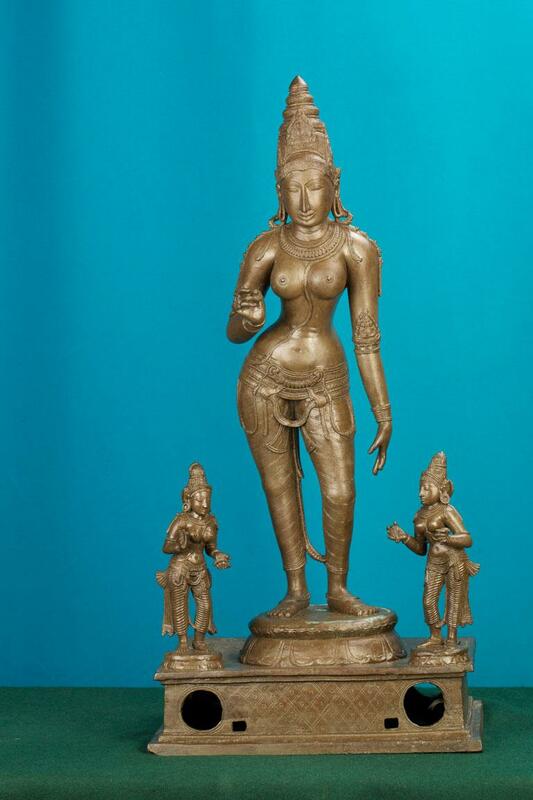 This is the image of Devi/ Vidyasakthi/ Saraswathi in standing posture. The exhibit has two hands and is flanked by two female attendants. The figure has a kireeda and is ornamented too. The female attendants are holding palm leaf manuscripts and stylus.